John Dufilho writes songs. Lots of them. More than eight albums' worth since 2000 — five with his rock-inclined The Deathray Davies, two with his indie pop-focused I Love Math, and a solo alt-rock album he released under his own name in 2006. On his first full-length album since 2008, Dufilho has indeed taken a high-minded route: To be released under his new John Singer Sergeant moniker this latest affair is a mostly collaborative effort; content to resign himself to a backing role, Dufilho recorded the 14-track album's backing music entirely by himself and invited a cast of big-name musician acquaintances and close family friends alike to replace him on lead vocals. Included in this crop of guests contributors are Ben Kweller, The Apples' Schneider, Rhett Miller of the Old 97's, Death Cab for Cutie's Chris Walla, Centro-matic's Will Johnson, Kool and the Gang's remarkable Sir Earl Toon and indie chanteuse Sarah Jaffe, each of whom lends their own recognizable vocal stylings to Dufilho's music. The recordings are like nothing that Dufilho has ever released prior. Stylistically, the disc bounces from genre to genre, touching on everything from nu disco ("Dizzy Joy" featuring Sir Earl Toon) to experimental psychedelic rock ("Dirty Num Num" featuring Dufilho's wife, Dannette, and his baby's nanny, Letty Gomez). And yet despite this wide range of sonic and lead vocal variation, it hardly feels disjointed, instead coming off as unified through Dufilho's remarkable pop song writing sensibilities. Infectious and endearing, the collection is as fully realized a project as Dufilho has completed to date, a winning batch of songs primed for a variety of listening experiences. 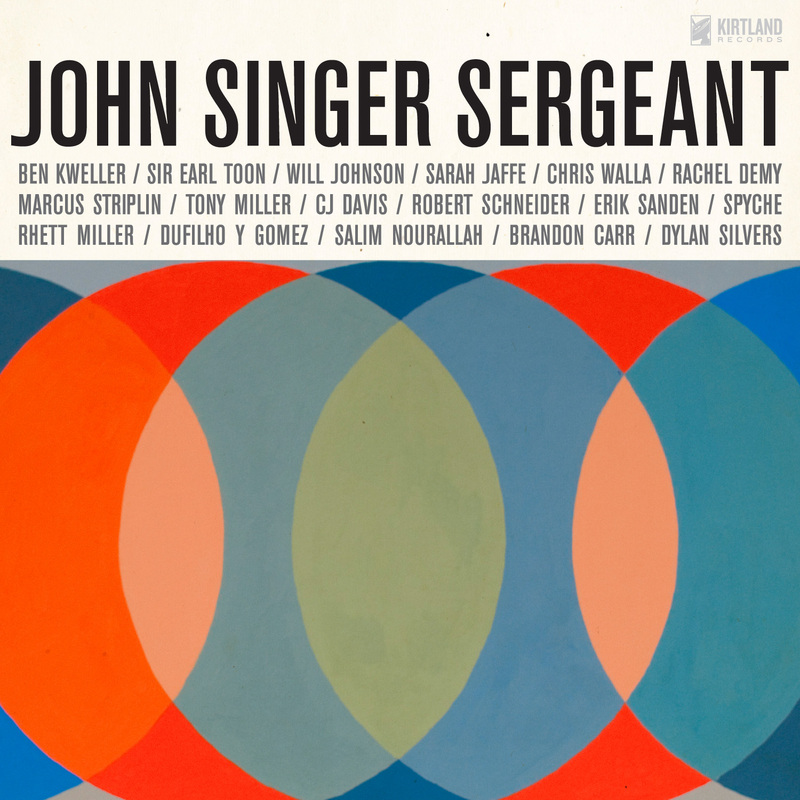 The album John Singer Sergeant will be released April 10.